In September 2005, one friend of us left suddenly for a world described as a better one. He was only 40 years old. 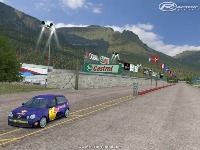 Jean Pierre , alias “Jops”, was the founder and administrator of the Grand Prix Legends simracing league “F1legends.ch”. He was also a fantastic simracer, with a GPLrank of -83. His death has let all of his friends in confusion , and I don’t say anything about the disaster for his family. In 2006, we decided within the F1legends team to create a track in memory of Jops. 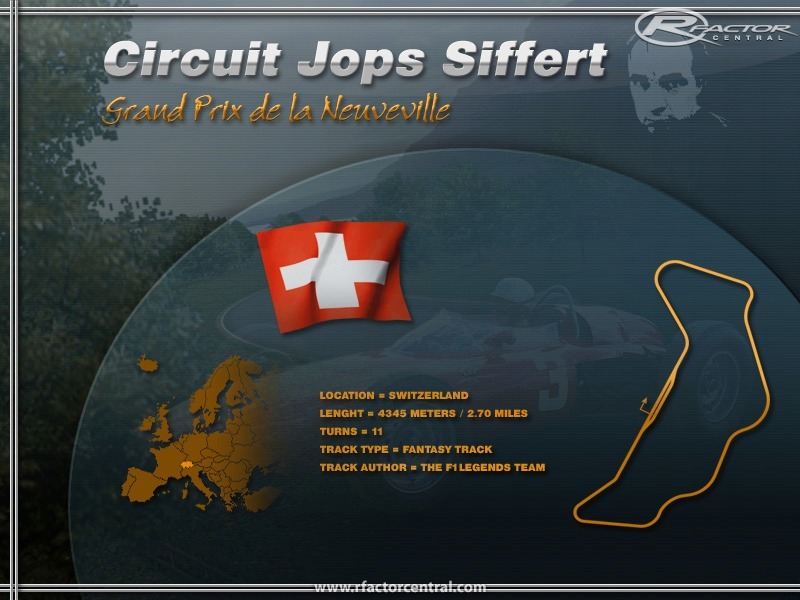 Some months later has follow the track “Jops / Grand Prix de la Neuveville”. 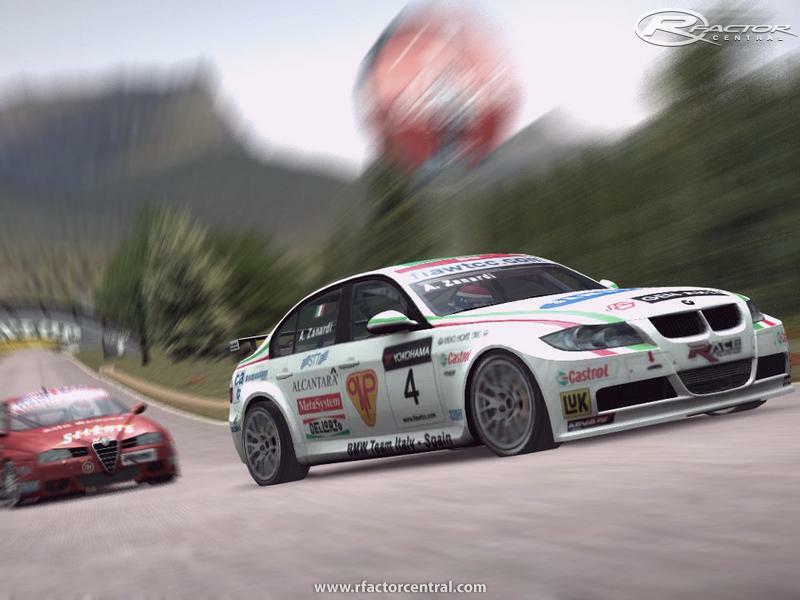 It was at that time very good welcome by the simracing community, due to its special atmosphere and its wonderful textures from “Jackseller”. Almost three years after his death, we didn’t forget our friend Jops . So, we decided to adapt the GPL track to Rfactor, GTL and GTR2, giving the possibility to the simracers to use all the new features (mods, rain, night, pilot changes , …). Our goal was to keep alive its special atmosphere, and not to do only a simple conversion. Beyond the graphical aspects of the track, please don’t forget to salute our friend on the right at the pit exit. I would like here point out the strong contribution from Neel Jani regarding the graphical optimization of the Rfactor track. In order to congratulate him for his help during the project, we gave him the rights and ask him to release the versions for GTR2 and GTL, with in mind the same orientation. These two versions should be released by Neel Jani some days after the Rfactor track. Please don’t modify or use some part of these three versions of the track without asking the authorization from the owners, just to keep intact the initial goal of this project. I would also like to thank Thierry81 for his work on the AIW+ Flagmarshalls, and Luigi for his work on the replay cameras. Jackseller : Original textures and Track GPL , Loading page. 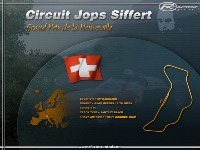 There are currently no setups for Jops Grand prix de la Neuveville CH. Add a Setup. I race this track on every sim that I can, I love it you can find a different way to get around it everytime you race, it is a track where you know right away if you got that line right or not. I guess I am trying to say it is truly an honest track. I always enjoy the flow, scenery, and views provided by this memorial to who must have been a great guy and friend to many. Wish I could have known him. Thanks for the excellent track.. The origin of this track is a sad but beautiful story of friends. "Jops" buddies did him proud in putting this track together. It's well done, beautiful to look at and fun to drive. It has become my favorite track. Thanks!! love this track. Very nice job. I wish I could find more tracks like this one, especially with all of the elevation changes. Love this little track. I mainly use it for test driving new cars (acceleration, handling, braking distance, etc).